For a website, its URL, holds prime importance, as it is mostly screened by the big search engines like Google. To make your website’s URL most user-friendly and searchable, you can use this tool, popularly known as ‘QR Code Friendly’. With the help of Google Chart this module converts the page url that are displayed into a QR Code, by making use of Google Chart tools. By using the Page title, and value like ‘alt’, or ’title’, this tool helps to improve the accessibility of your web Page, through SEO. The next most important thing, which is given prime importance by search engines, apart from the URL of a website, is its ‘Title’. Joomla offers a resilient tool by the name ‘Tag Meta’, which has recently gained a lot of popularity. The results of this tool are seriously remarkable! 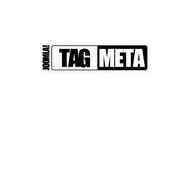 Tag Meta, basically helps in managing a website’s ‘Meta Information,’ most efficiently. In simple words, it helps in improving the site’s position during SEO optimization, and also helps in generating ‘Meta Information’, for any page dynamically. Another added advantage that you can have is that ‘Tag Meta’ has an in-built database of synonyms, which gives you the choice to automatically create and add new synonyms of your existing keywords on to any of your existing page. If you want to convert your existing heading tags, this tool can prove to be a blessing in disguise to you. So, in short, this tool is best used to control the heading tags (h1-h6). By searching the existent heading tags in the selected content, it helps a user to change them according to his/her specifications and needs. Moreover, the priority and occurrence of a heading tag can also be adjusted, using this tool. Since, ‘heading tags’, are also given much importance by search engines, while conducting a search, this tools has gained much importance and popularity amongst web developers, while implementing SEO strategies. The EasyImageCaption tool, helps to search the article text, and then creates ‘Captions’ from ALT’ or ‘TITLE’ tags in articles. This new blockbuster tool is nipping the market consistently. If you are on a lookout for a plugin, that can make your Websites URL search engine friendly, then you can give a try on using ‘JoomSEF’. Adorned with capabilities like meta-data generation, and making the URL’s easily understandable, this premium tool is becoming a popular amongst most web developers. I have personally tried my hands on this plugin, have found it to be quite handy. It offers features like advanced URL Management. It helps in creating search engine friendly URL’s. 3rd level domain support & Keywords Management etc. Embedding Google Maps with websites has become quite a trend these days. 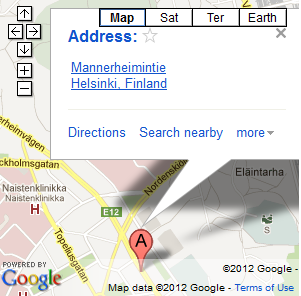 If you want to embed one or more Google Maps at the same time in your Website, then this tool can b of great help to you. This plugin enables a user to embed multiple Google Maps to Joomla articles, by simply adding the coordinates and addresses which are required to be displayed. Set the boarder layout, ‘zoom level’ etc, as per your choice. Add a link of the Original sized Map. So, to let your viewers find you conveniently, use this tool and add as many Google Maps to your website, as you wish. This Share Plugin is a popular Joomla tool for integrating the most popular social networking websites with the content of the webpage. This plugin has proven to be a boon in terms of keeping a constant track on the preference of your visitors. By letting other share, visit, share and vote on your content, you can offer an open platform for your own self to know about the pulse of the online users. Being a dynamic tool, this plugin allows you to choose as many social networking websites, as you wish, and helps them to get integrated on to your website. So, use this tool, and enjoy the likes and visits to your content, from every corner of the world! Mark Ross has written 1 post on web design mash. you going to risk a cheap deal at thee expense of your business.